Every fan of the American football will definitely feel great to sit back and watch the likes of Alex Collins giving his best shot from his position as Baltimore Ravens running back of the National Football League (NFL). You will agree with me that the job of a quarterback on the field is one of the toughest because they have to know and understand every play but in addition to that fact, a running back goes further to make physical contact on virtually every down. Leading his team with 973 yards and 6 rushing touchdowns in the 2017 season, the American football player Collins has proven himself worthy as one of the best running backs the world would look out for in the nearest future. Even though Collins is ranked 26th on NFL’s best running back ranking, strength, courage and more games is all he needs to make it to the top. Let’s learn more about the every-minutes player. Alex Collins is an American citizen born in Fort Lauderdale’s Plantation, Florida, on August 26, 1994. Collins is the son of Johnny Collins and Andréa McDonald who were the key to his successful football career. Plantation High School. There, he did not only play football but made himself available for different other sports such as track, lacrosse, basketball and even cheerleading. Collins was not just good at all these sports categories, he did perfectly well in them and even won some trophies and awards. As a sprinter, for instance, he was named the Broward County Male Athlete of the Year 2013. In football, Collins was at his best. Under coach Doug Gatewood, Collins did not only make the school proud as a junior player with his 28 touchdowns and 1,786 rushing yards, thereby becoming the Broward County Player of the Year, but he also became even more famous after gaining 14 touchdowns and 1,400 rushing yards despite sustaining an injury that made him miss three matches. Following his success in the senior season, he was named among those selected to join in the Semper Fidelis All-American Bowl with the likes of quarterback player Austin Allen. 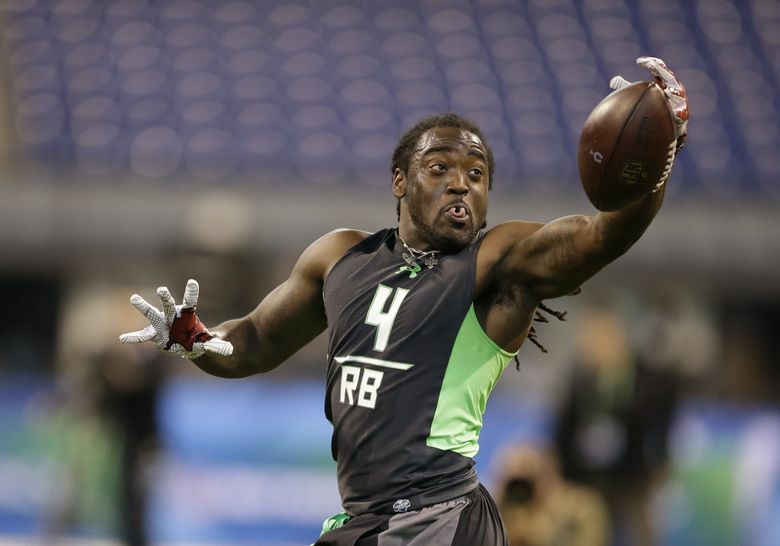 Alex Collins became a student-athlete at the Arkansas University in 2013 and played for the University for two years (between 2013 and 2015). As a skilled player that he was, Collins surprised his team with 300 rushing yards in his first three games, thus becoming the first true freshman in the history of the Southeastern Conference (SEC) to do so. Collins became the 2013 SEC Freshman of the Year after finishing the year with 4 touchdowns and 1,026 rushing yards on 190 carries. More to it is him being named the third person in SEC history to have 1,000 plus rushing yards in three seasons. He even won the MVP honours after leading his team, the Liberty Bowl in its victory over Kansas with 185 rushing yards and 3 touchdowns. Alex Collins joined a professional team in 2016 after deciding to drop out of the University to pursue his football career professionally. In the NFL draft, it was projected by different sports magazines that he would make the third rank pick after completing the combined drill, however, he ended up as the fifth round pick by the Seattle Seahawks. Collins signed a $2.5 million contract with the professional American football franchise which was supposed to last for four years but one year into his four-year deal, the Seahawks decided to trade him for cornerback Jeremy Lane. Collins was finally waived on September 2, 2017, and on September 5, 2017, he was signed to the Baltimore Ravens. Beginning his career with the Ravens as a regular starter, Alex joined his new team’s practice squad on September 5, 2017, with a salary deal of about $540,000. Collins restored the glory of the team with his 973 rushing yards and 6 touchdowns in second of five weeks of the 2017 season. This and more of his heroic scores helped his popularity in the NFL with the ESPN Fantasy Football dubbing him “One of 2017’s more surprising breakout performers”. Currently, the running back for the Baltimore Ravens is serving his one-year contract with the team which is meant to fetch him about $630,000. Alex Collins sustained foot injuries while the team was preparing for a game against the Oakland Raiders. This would make it the second time, though at different career levels that the Florida-native would sustain an injury that will deprive him of participating in games. In September 2018, Collins was listed on the injury report as a limited participant and it is unclear when he would pull through and join in games. Baltimore Ravens starting running back Alex Collins career statistics shows he has a total of 1,509 rushing yards with 14 rushing touchdowns and 357 rushing attempts in a total of 36 games played in the NFL regular season as at the time of this writing.